With his public support damaged by cronyism and other scandals, Prime Minister Shinzo Abe’s goal of revising the postwar Constitution by 2020 is facing renewed hurdles. During a Friday meeting of prefectural assembly members from his ruling Liberal Democratic Party, Abe repeated his desire to revise the charter’s war-renouncing Article 9 to clarify the legal standing of the Self-Defense Forces. He also stressed his wish to alter school textbooks that describe the SDF as unconstitutional in an effort to bolster support for service members. But opposition lawmakers insist that Abe is not qualified to amend Article 9, questioning his ability to maintain civilian control of the SDF in light of problems including a suspected cover-up of the now existent daily activity logs penned by Japanese troops deployed to Iraq from 2004 to 2006. Friday’s meeting was designed to give Abe fresh momentum toward his bid to win a third term as LDP president at the party’s leadership election this autumn. The LDP’s leader is virtually assured of becoming prime minister because of the party’s strength in the Diet. 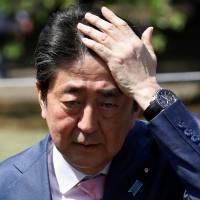 But Abe has also been under fire amid the recent discoveries of documents and email that suggest his aides helped Kake Gakuen (Kake Educational Institution), a school operator headed by one of his friends, open a rare new veterinary school. In addition, opposition lawmakers have been demanding that Finance Minister Taro Aso step down to take responsibility for sexual harassment allegations involving his deputy, as well as his ministry’s manipulation of documents related to a cut-price sale of state land to Moritomo Gakuen, another school chain linked to Abe’s wife, Akie. Aso said Thursday that he is not considering resigning over the sexual harassment scandal. The fate of Aso, who doubles as deputy prime minister, will have a direct impact on how long Abe can stay in power. 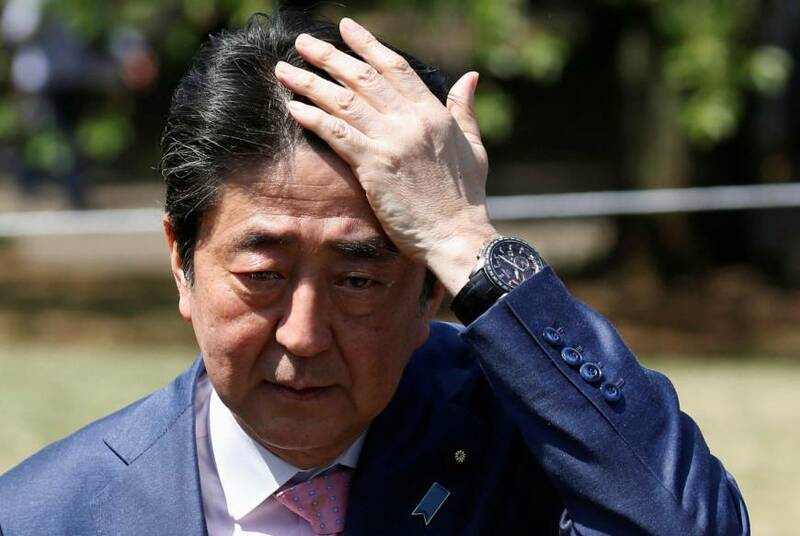 “It is becoming uncertain whether the prime minister will win a third term as LDP president,” a veteran LDP lawmaker said.